Pregnancy is a magical time for us women. But, let’s face it, it’s not all sunshine and roses. With so many changes happening to your growing body, being pregnant can sometimes make you feel not-so fab. Some of us gals here at The Urban List have been through the struggles so we want to pass on our fashion advice to you, to make things just that little bit easier— because you’ve got enough to worry about! 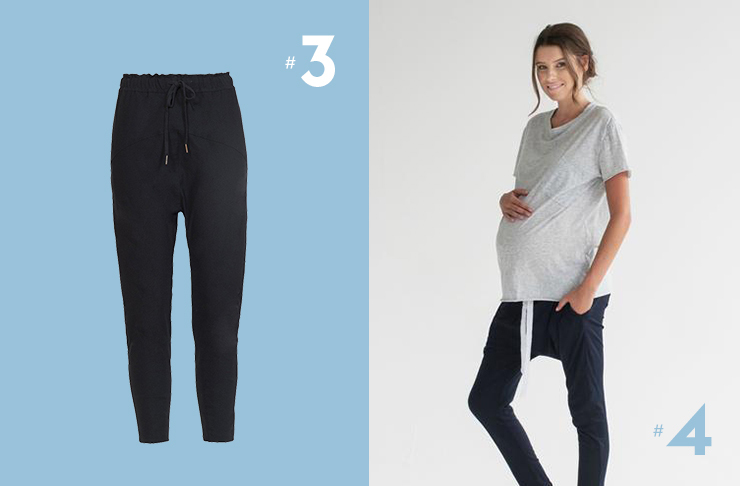 We’ve put together a pregnancy capsule wardrobe, that will accommodate your growing belly. Each of these items are designed to be able to mix’n’match with each other for easy day-to-night, office-to-play looks. But most of all, this wardrobe will make you feel super stylish and hopefully bring some fabness back into your life! In the words of the iconic Coco Chanel— “Every day is your fashion show. And the world is your runway.” So work it mamas! Rollies Derby Punch shoe may just be THE PERFECT pregnancy footwear! Not only are they super stylish but they are super comfortable! Rollies shoes are an Australian brand designed to be the perfect travel companions for your hard working feet! They’re crafted from premium leather with a breathable canvas lining so you need not wear socks, perfect to wear all year round. The soles are made from EVA memory foam, which make them so comfy and they are super light-weight too. We’ve picked out the Derby punch style in rose gold to give a little pop of colour to your pregnancy wardrobe! Bassike is another Australian brand who use organic cotton jersey fabric to craft their garments. 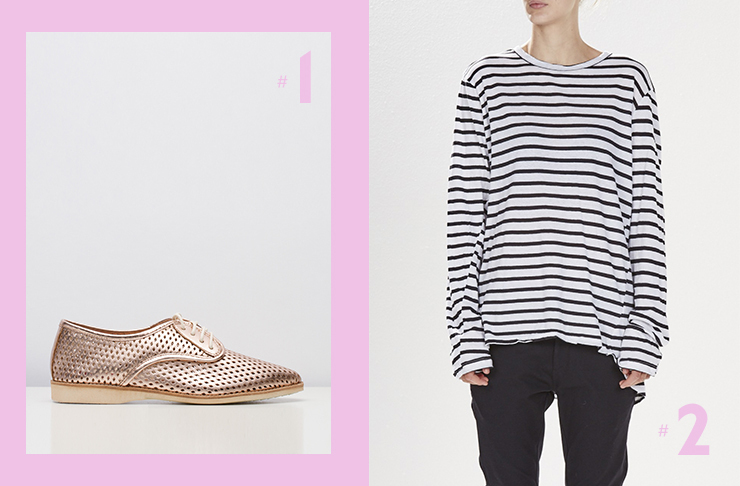 We’re loving the French seam long sleeve top in black and white stripes. This top has a super relaxed fit, perfect for that growing bump of yours. The organic cotton jersey fabric makes this top soft and breathable and the striped design is classic. Pair it with a pair of jeans and your Rollies shoes for a relaxed daytime look. Or, if you’re wanting to glam this look up a little, add on our pick for a blazer for the perfect dinner date outfit! If you’re looking for a super comfy, relaxed but stylish pant then you’re gonna love the Moochi tidal pant in classic black. This pant has a relaxed drop crotch fit, a covered, elasticated waistband with a draw cord and side seam pockets. We’re loving this pick as it’s super versatile. Chuck them on for lounging around at home or pair them with the tee, blazer and Rollies shoe for a smart-casual daytime look. Legoe are a super styly maternity label. They do everything from tees to dresses and everything in between—perfect for the modern day mumma-to-be! We’ve picked out their Heritage tee in grey as a perfect staple piece in your maternity wardrobe. The tee is made from premium feather-weight cotton and is designed with your growing bump in mind, with added length for a more over- sized look. Pair this with the jeans, blazer and Rollies shoe for a cute day to night look! Another piece from the Legoe range, ee’ve picked out the Zulu dress in black to add to your maternity wardrobe. We’re loving the classic style of this dress, which also makes it super versatile for another day-to- night look and can be worn for work or play! It’s crafted from soft, stretchy cotton, designed to grow with your bump but still maintain its shape so you can wear it after bub is born! Pair this dress with your Rollies shoe for a casual look or throw on the blazer to glam it up a little! We’re absolutely loving this blazer from New Zealand designer KowTow! It has a boxy, straight, unstructured, fit and is made from 100% ethical organic cotton poplin fabric. We’ve picked out the pressed print style to give a little bit of diversity to your wardrobe. You can pair this blazer with every single piece to glam up all of your looks. When it comes to knits, Country Road know where it’s at! 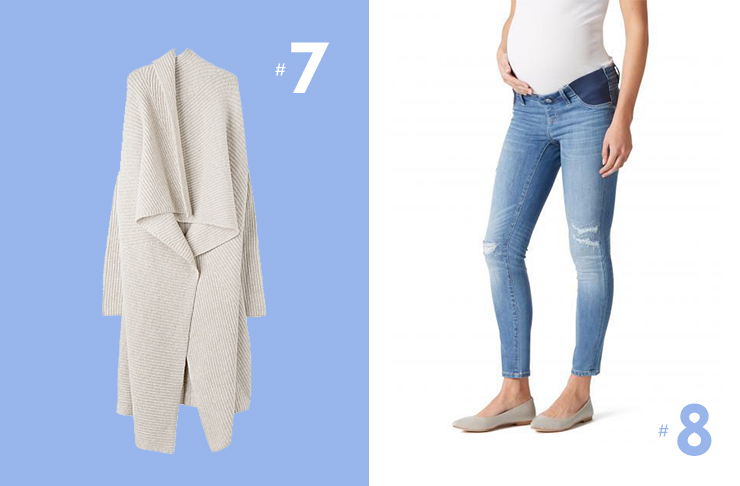 Our pick for a cardi to add to your wardrobe is the Luxe Waterfall cardigan in nougat. It’s made from premium Italian wool, with a ribbed texture and has a long line with a waterfall front, making it perfect for keeping your growing bump warm! This cardi is a good pair with the jeans, tee and Rollies shoes for a perfect springtime look. Jeans West know how to make the perfect maternity jeans and they’ve got the awards to show for it! The best part about these jeans is you can wear them long after baby is born as they are made to stretch but to also retain their shape! Jeans are obviously a top wardrobe staple. Choose any style to suit your body type and mix them with either of our tees and throw on the blazer for a cool day to night look!